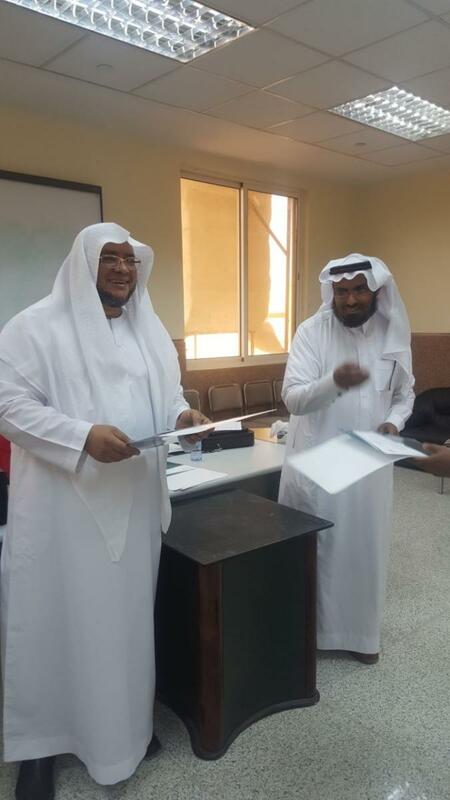 Jamuom University College organized a workshop titled: "Art of Conversing and Communicating with the Audience" for the police staff in the province of Jamoum on Monday, Safar 2, 1439 AH. The workshop was delivered by Dr. Al-Saeed Al-Nawati from the Arabic Language Department. It addressed a number of topics related to the skills of communicating with the audience. Noteworthy, the workshop is part of the community partnership program, contributing to the enhancement of the initiative launched under the theme: "How to Be a Role Model?". At the beginning of the workshop, dean of the college, Dr. Tawfiq Al-Sharef, welcomed the participants, and explained that such sessions contribute to the enhancement of communication skills. As it came to a close, it was assessed by the beneficiaries, and the attendees received attendance certificates.